Netbooks have generally grown in size since they were first launched back in 2007. So it seems somewhat strange that Asus has resurrected the 8.9-inch netbook with the Eee PC 900AX. However, rather than taking the opportunity to redefine the 9-inch form-factor this appears to be more of the same with specs from yester-year. 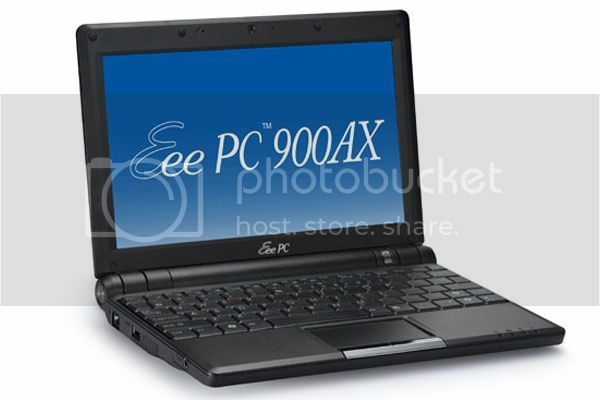 This 8.9-inch (1024 x 600) netbook sports a 1.6GHz N270 Atom processor, 1GB RAM, a 160GB HDD and Windows XP. Other features include two USB ports, Wi-Fi (b/g) and a 4-cell battery. Availability remain a mystery for now. um what? is this a netbook form this year or last year? I know some of the people that really are into mobile tech were getting upset at the trend in larger netbooks so its good to see a small one but I seem to missing why this is an improvement and not just an old netbook. Somebody found a few boxes of old bits in a taiwanese warehouse I think. Thank you for going back to the perfect size.